Your new and improved booking system is here! Not sure how to get started, check out our handy guide below. If you don't have a membership but would like to book activities on a 'pay and play' basis, simply register here and you'll be booking into workout classes and sports activities in just a few minutes. If you're thinking of signing up to a membership with us (which includes all our workout classes), check out what memberships packages we have. 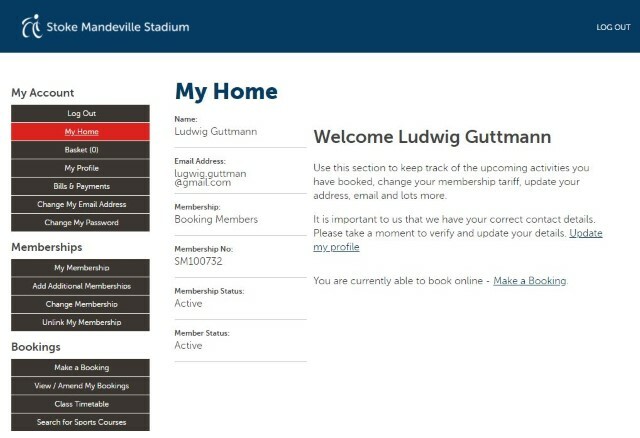 Already got a membership at Stoke Mandeville Stadium? On the first screen you'll be asked to enter your unique barcode number, this can found on the reverse of your Membership Card. 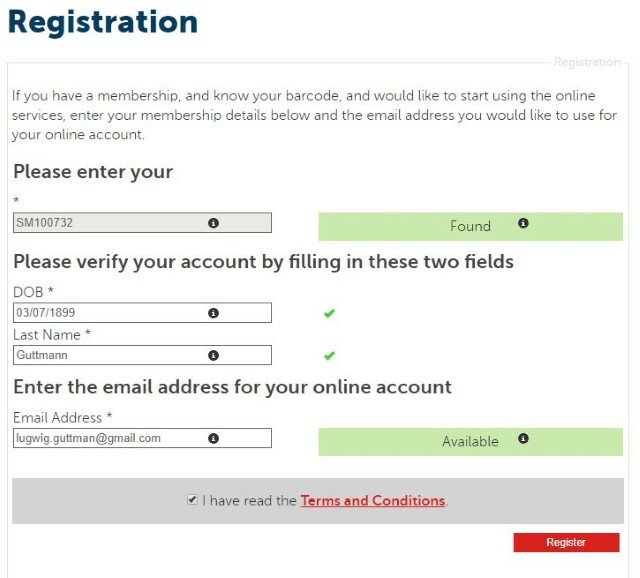 You'll then see the registration screen like the one below, you'll be asked to confirm some details which are currently held on your membership record. Once you enter the correct details you'll see a green tick appear. Press the 'Register' button once all your details are correct. You'll then receive an email from us containing a link to verify the email address you entered is correct, click that link! You'll arrive at a screen like the one below asking you to create a password for your online services. Enter a new password of your choosing and press the 'Complete' button. You're now successfully registered to make bookings online for all of your workout classes and sports activities! Please take a moment to check all of your details are up to date in the 'My Profile' section, we need to make sure we've got up to date contact details for you. Did you know you can also make bookings on your smartphone? When you click the 'book' button on the website you'll automatically be transported to our WebApp, where you have all the same functionality as the desktop website and can even have your classes synchronized with the calendar on your smartphone. On the day of your booked session, just scan your card at the front desk within 90 minutes of the start of your booking and we'll automatically confirm you on the register. Please make sure that you always scan your card when you arrive at the centre, as in the future we may start adding restrictions to your account if you reserve spaces in sessions and don't turn up. If your plans ever change and you need to cancel a session you've booked, you can do this online too. Please ensure you cancel before 09:00 on the day of the activity to avoid receiving any charges being applied to your account.